Enjoy the serenity and beauty of our farm and the Big Island. Stay with us and fuel your interest and ignite your passion for Natural Farming and Yoga! Take classes with our certified instructors who live on-site or design your own Retreat. 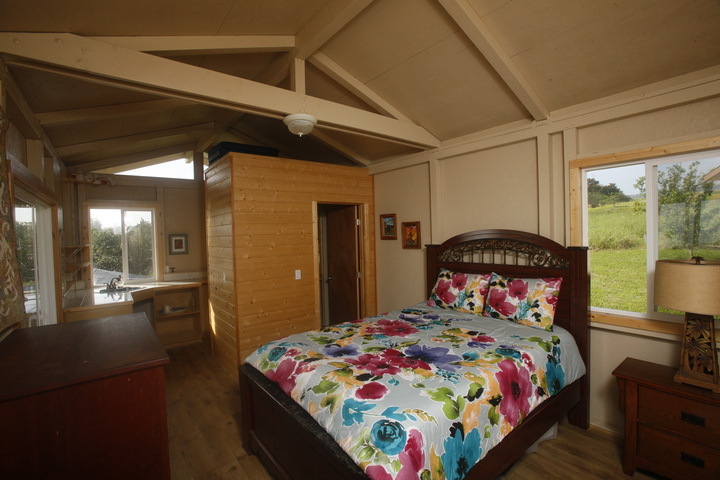 Design YOUR own Retreat! The options are endless…including Natural Farming, Yoga, onsite chef service and massage, and an endless array of Activities/ Excursions that can be arranged as part of your Retreat. 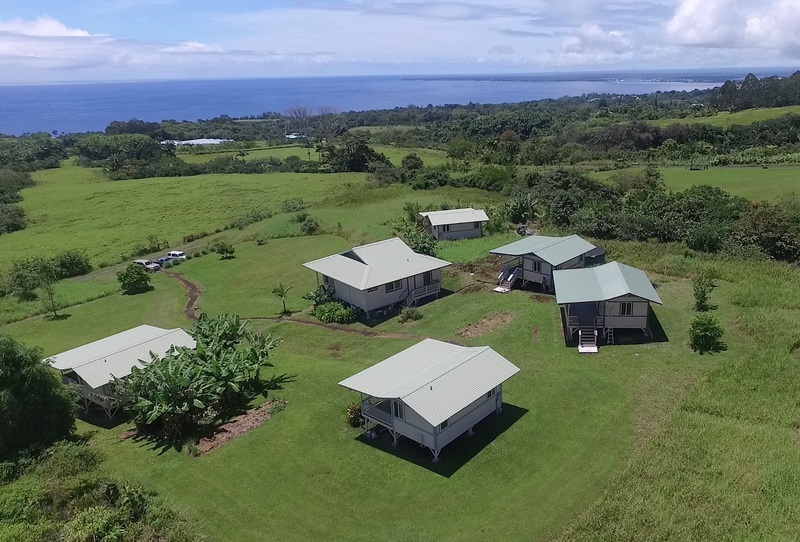 Hawai’i Farm Retreats is completely designed with YOU in mind and the perfect place to bring a group of up to 10 guests or have a personal Retreat on your own. We are located on the gorgeous Hamakua Coast, just 8 miles north of Hilo. 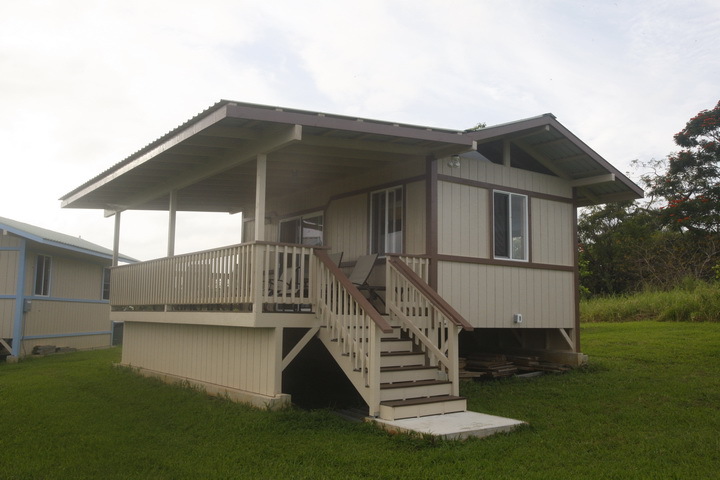 26 acres with 180 degree ocean views from your lanai! It has been years since I’ve overnighted on the east side of the Big Island. After this weekend’s stay at Hawaii Farm Retreats, I am looking for events for which I schedule my next staycation! At the end of my 90 minute drive from Kona I arrived to the property’s panorama of Hilo and beyond, in fact, to an unobstructed view of the ocean entry of Madame Pele’s latest lava creations. The view is stunning from the wholly outfitted, second floor yoga studio where I enjoyed a challenging and restorative practice, much of which was at the Great Yoga Wall, what I consider to be the ULTIMATE yoga prop. Welcoming me to rest after this yoga practice was the clean, rustic Hawaii farm cottage, with its large lanai from which I watched the moon rise over the ocean as the lava fissure painted the sky to the south pink, purple and orange. The white noise of the cottage was periodically lowing cattle, the flowing streams on either boundary of the property, and of course the call of the coqui. I woke to cool, crisp and clean air and was torn between burrowing further into my warm bedsheets, or migrating to the outside to feel the rising sun on my face as it woke the day with its rays. Jennifer, when, when can I return?! “You feel like you are home. 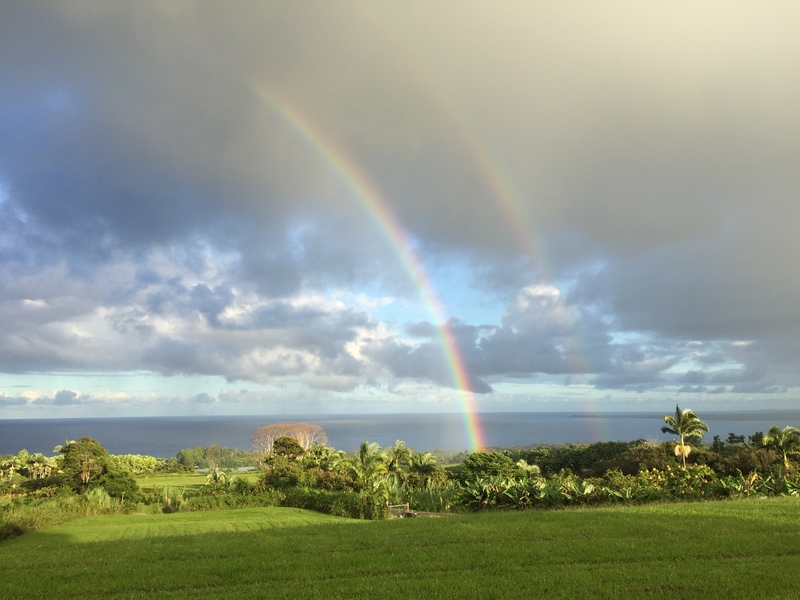 The moment you arrive at Hawaii Farm Retreats you feel an energy of positivity and vast potential. There are no limits here. The fresh mountain air rises into the sky reminding you the sky is indeed limitless and so are you. Hawaii Farm Retreats’ host is warm and open making you feel as if you have been securely enveloped in that familiar feeling of an old friend. The energy throughout the 26 acres of lushness is always flowing and doesn’t stop once you are alone in your very own space of a cottage. The thought that has been put into the location of each cottage and how it sits on the property allows for openness or solitude at the same time if you so desire. Smartly constructed the cottage is filled with natural light and a constant shifting of fresh air. Not overly decorated to feel as if you are in somebody else’s space I felt the ability to make myself comfortably at home. Nature remains outside and one is reminded you are no longer in the city, let alone a town. The night lightly vibrates with the sound of island living possibly slightly louder seeing how Hawaii Farm Retreats is 100% off the grid. During my stay the wonder of the full moon lit up the night and danced across the ocean down below and directly within my view from my private cottage deck. As weather shifted and clouds rolled in and then rolled out, Fissure 8 was safely visible from my cottage deck as live magma flowed miles away and lit up the sky. In the morning the sunrise did not disappoint.